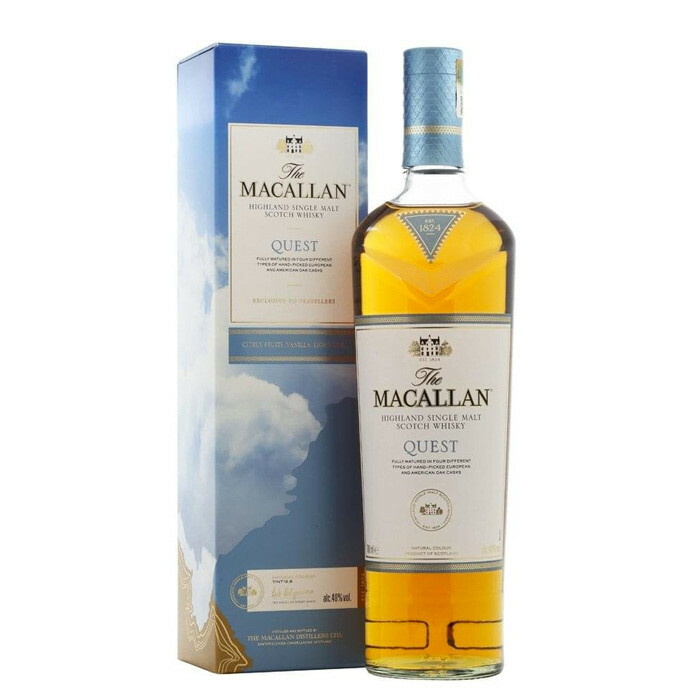 The Macallan Quest might sound like some sort of epic journey to throw an evil chime hoop into a massive sherry cask, but it's actually a Travel Retail bottling of Macallan single malt drawn from four varieties of cask - bourbon casks, sherry-seasoned European oak casks, sherry-seasoned American oak casks, and hogsheads. The name is a reference to the lengths taken by the Macallan team to source the best oak to mature whisky in. Nose: Gentle lemon notes arrive first, with milk chocolate and butterscotch leaping out afterwards. Palate: Slightly spicier than the nose, with warming oak and cinnamon developing underneath caramel notes. Finish: Touches of raisin and vanilla pod.